GAS OPERATED, HAS 25' & 50'1/4" AIR HOSE & 1-QT SPRAY GUN AVAILABLE. IF NIS, USE 6CFM ELEC. 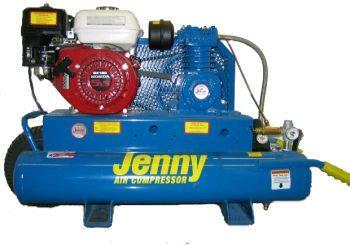 OR 6,10,12CFM GAS COMPRESSOR. ONE MAN OPERATED. * Please call us with any questions about our air compressor 16 cfm gas powered rentals serving Bensenville IL, Lombard, Des Plaines, and the Chicagoland Suburban Area.